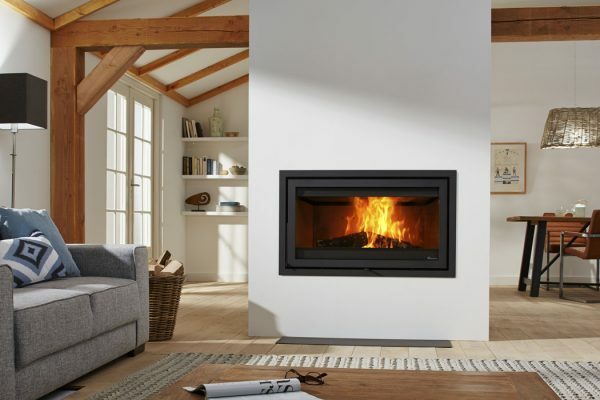 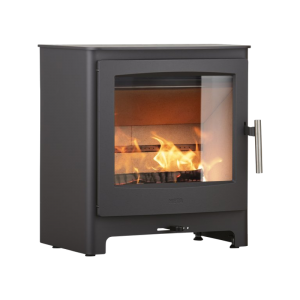 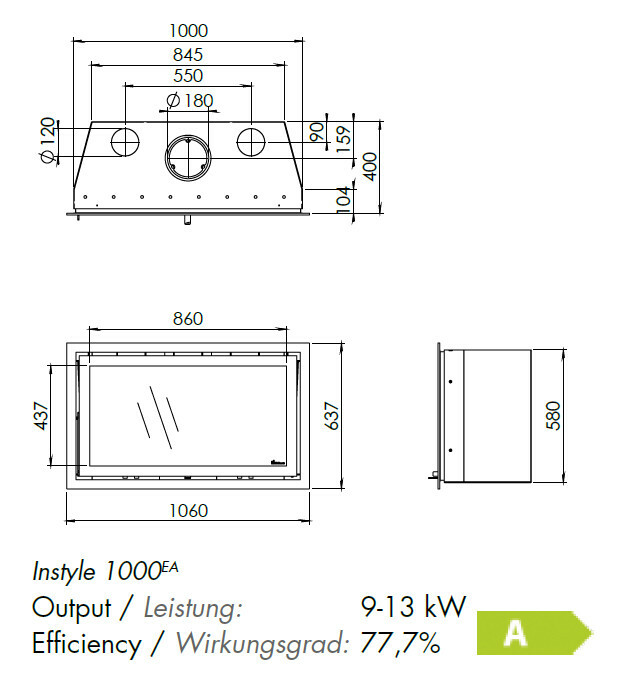 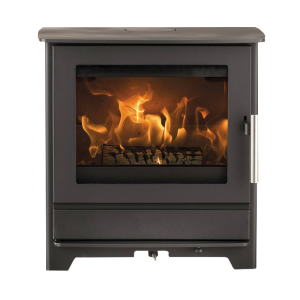 The Instyle 1000 1 metre wide wood stove can be inserted into a standard UK brick chimney. 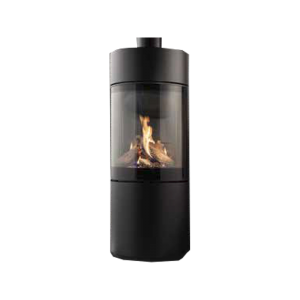 It can also be built into a pre-fabricated chimneybreast to create a spectacular letterbox-style wood fire. 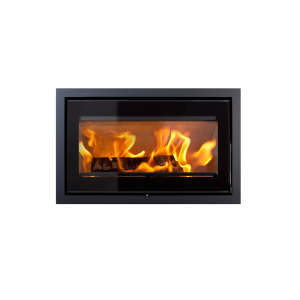 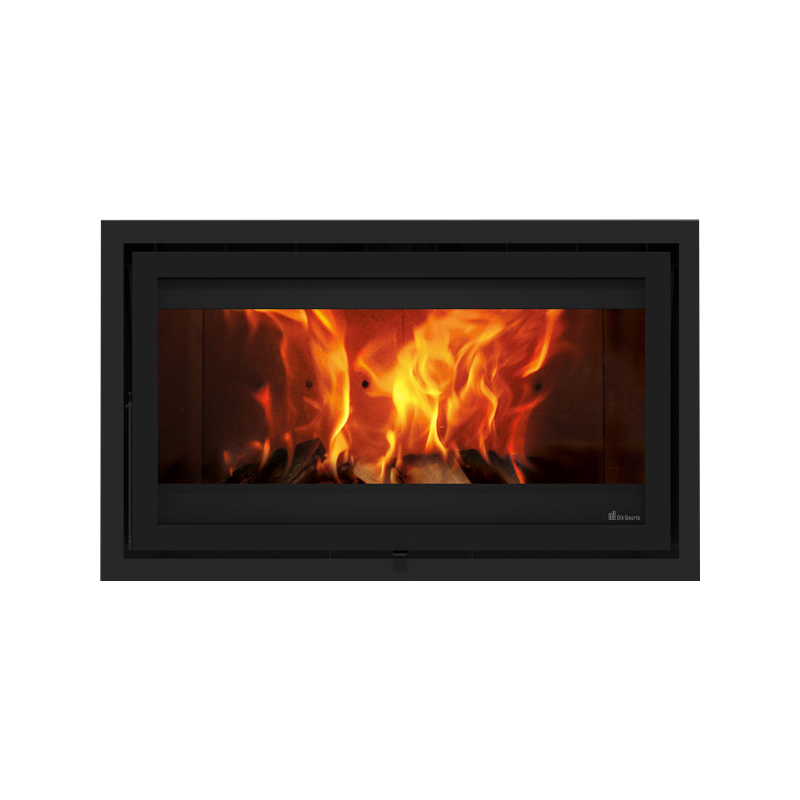 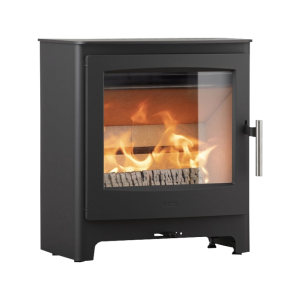 It has a heat output range from 9 – 13 kW and an impressive energy efficiency rating of 78%. 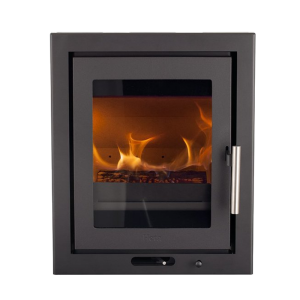 Furthermore, it has DEFRA approval.